The Chinese government has announced its commitment and readiness to increase the cultural exchange, economic and trade relationships with Nigeria, noting that China-Nigeria cooperation in all fields is developing steadily with both countries’ culture attracting more attention globally. The Chinese Consul General, Mr. Liu Kan, during a press briefing to announce the opening ceremony of Chinese Film Festival slated to take place on December 18 and 19, at the Silverbird Cinemas, said the 2015 film festival is the 10th anniversary of the establishment of China-Nigeria strategic partnership, pointing out that over the past years, the two countries have cooperated closely and achieved fruitful results in area of politics, economy, culture, military, education, agriculture, infrastructure, telecommunication and others sectors of the economy. According to him, there are many similarities between China and Nigeria in history, culture and social development, maintaining that China hopes the film festival will present the latest achievements of Chinese film industry, promote cultural exchanges and mutual understanding between both countries. “At the beginning of December, 2015, the Chinese President, Mr. Xi Jinping at the 6th forum on China-Africa cooperation indicated that China will broaden and deepen the All-round cooperation between China and Africa. China-Africa cooperation should not only be driven by economic and trade relations but also by cultural exchanges,” he said. He said China-Nigeria cooperation in all fields is developing steadily with the cultural industry also attracting more attention, noting that the film industry will be a new area of cooperation for both countries. 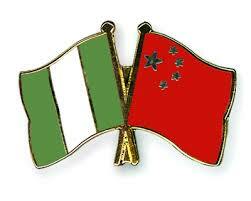 “China and Nigeria are both countries with long history and splendid cultures. There are many similarities between these two cultures such as attaching great importance to education and emphasising family independence, family affection and friendship. The two countries can learn a ot from each other which would help achieve common development,” Kan said. ‎He pointed out that the Chinese and African film industries have broad prospects, stressing that the Chinese film industry has developed rapidly in the past years. He added that over the past 12 years, the Chinese film box office revenue has grown 40 times from 1 billion RMB (N25 billion) in 2003 to over 40 billion RMB (1000 billion) in 2015, saying that the number of cinemas in China has grown from 1140 in 2003 to over 6200 in 2005. He noted that Chinese-made films have been improved quite a lot in both quality and quantity, adding that some of the films have reached international level. He said the African industry also developed tremendously in recent years, stating that the film industry in Nigeria has huge potentials considering its over 170 million population. “Over the past 20 years, the Nigerian film industry witnessed a rapid growth, the well known Nollywood now produces over 2000 films a year which is remarkable in global film market,” he said. The Chinese Consulate General said the Nigerian film industry has formed a unique development mode, saying that Nollywood films are low-budget with costs between $15,000 to $30,000 and marketing through DVD sales and online promotion. He said the Chinese film festival would be held by the Chinese Consulate General in Lagos, saying that it is the first it would be recommending to Nigerian friends. “The film festival consists of opening reception and the film‎ show. The opening reception will be held in the evening on Friday after which guests will watch the film “CZ 12” also known as “Chinese Zodiac,” a Chinese action film co-produced, directed and starred by Jackie Chan. We have invited public from both Nigeria and Chinese community to attend the reception and the film show, and we hope the audience will get a better knowledge of Chinese development, Chinese history, culture, local customs and practices,” he added.